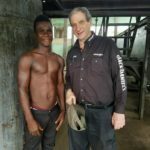 Dogu with AgriSmart founder and Chairman, H. David Meyers. 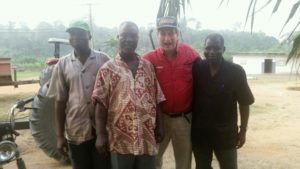 Dogu will head AgriSmart's palm oil farmers collective in Cote d'Ivoire; he has 30 years experience collecting palm oil pods. 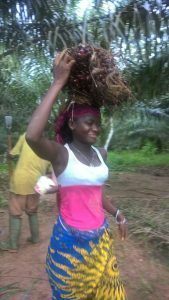 A native vegetation of West Africa, oil palms are a highly beneficial organism to the Côte d’Ivoire ecosystem and play a major role in reforestation initiatives. Unlike palm oil production in Malaysia and Indonesia that is destroying habitats and endangering native species, such as the orangutan, the palm oil production process in Côte d'Ivoire employed by AgriSmart uses a sustainable agriculture system called taungya (wiki), which is an intercropping between existing trees that optimizes yields, while furthering reforestation, and protecting the habitat of the native species of plants and animals. Palm oil Cote d'Ivoire (Ivory Coast): Côte d’Ivoire is the third largest African producer of palm oil , which greatly contributes to the reduction of poverty through the creation of jobs in an array of industries from plantation farming, raw production, and manufacturing of finished products, to the transportation and shipping of products at various stages of processing. Ivory Coast is home to Africa's largest oil palm refinery. 1. Palm Oil Production by Country in 1000 MT.Country Rankings. IndexMundi. Source: United States Department of Agriculture. Retrieved 30 June 2016. 2.a b Ivory Coast hopes to squeeze the profits from palm oil. World | Africa. BBC News. Retrieved 30 June 2016. 3. Processing and Use. Palm Oil. Wikipedia. Retrieved 30 June 2016. 4. Sustainable palm oil. About Sustainable Palm Oil. RSPO - Roundtable on Sustainable Palm Oil. Retrieved 30 June 2016. 5. 5 Things to Know About Palm Oil. World. The Wall Street Journal. Dow Jones & Company, Inc.. 26 July 2015. Retrieved 30 June 2016. 6. 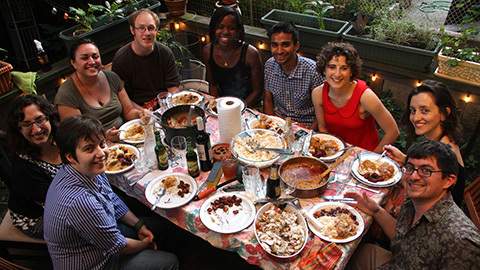 Food in Côte d'Ivoire - Ivorian Food, Ivorian Cuisine. Algeria to France. Food in Every Country. Advameg, Inc.. Retrieved 30 June 2016. 7.a b Palm oil in the Ivorian economy. Palm oil. Palmafrique. Retrieved 2 July 2016. 8. Le palmier à huile (The oil palm). Importance de la culture (Importance of culture). Ministère de l’Agriculture - Côte d'Ivoire (Ministry of Agriculture - Ivory Coast). Retrieved 2 July 2016. 9. Côte d'Ivoire. 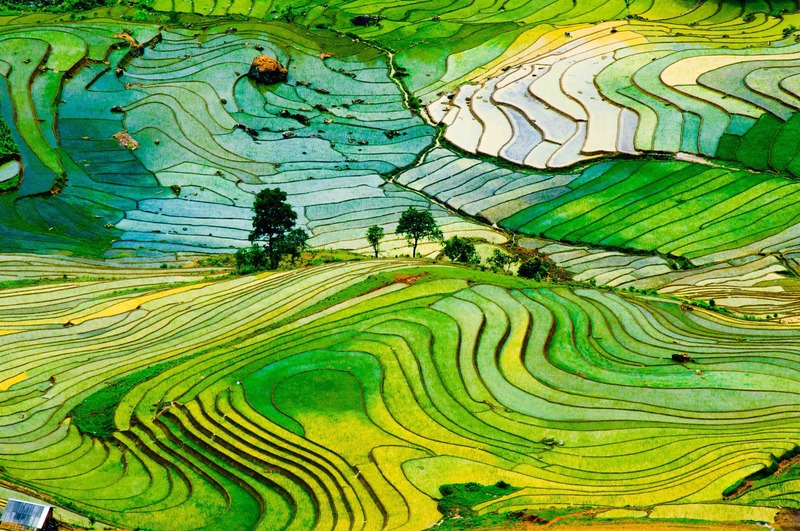 Sustainable Agriculture and the Environment in the Humid Tropics. The National Academies Press. The National Academies of Sciences, Engineering, and Medicine. Retrieved 2 July 2016. 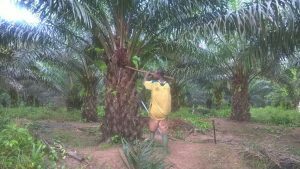 10. a b c d Oil palm production in West and Central Africa. The oil palm sector in Côte d'Ivoire. GRAIN. 22 September 2014. Retrieved 19 July 2016. 11. A long history and vast biodiversity. 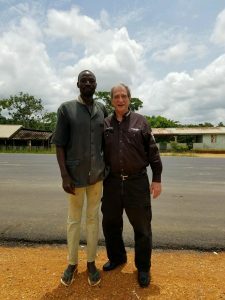 A love affair with traditional palm oil in Côte d'Ivoire. GRAIN. 22 September 2014. Retrieved 19 July 2016. 12. Profit Begins for Impact Investment In Sustainable Development Goals. News Center. PRWeb. 11 May 2016. Retrieved 19 July 2016.